A hilarious and heartbreaking memoir-in-remedies by a self-described "professional soul-searcher" that details a journey of self-discovery through over 160 tonics, seminars, regimens, and transformative therapies. From an early age, Megan Griswold was set on a path of looking outside herself to learn about herself. At birth her parents found a Christian Science practitioner for her, at age seven she asked Santa for a mantra, and at 12 she started taking workshops on personal growth. Her over-the-top existential curiosity eventually led her to outdoor leadership training in Patagonia where she met her husband. Their marriage was not without challenges, and after he was arrested, Megan's world was shattered. Rather than let herself shatter, she embarked on a journey of self-discovery with renewed vigor. 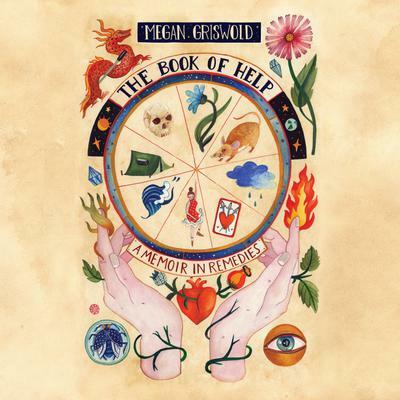 The Book of Help is the story of the 15,000 hours and 160 different remedies, therapies, and modalities that Megan went through, poking and prodding herself to feel better and be better. She explores a past life family tree, gets trained in Five Element Acupuncture, becomes a doula, takes Ayahuasca, does a water fast, and sees psychics and a bevy of therapists. With a voice that is at once intimate and hilarious, Megan captures the openness and honesty necessary for people to take a new path in life. Readers will open the book with curiosity about all the different healing therapies that Megan tries, but leave with a new understanding of themselves.